The historic city of Milan is home to almost everything we associate with class – art, fine dining, history, architecture, and more. Nepentha Milan, a club in the heart of this metropolitan centre of all things art and culture, mixes all of these defining features with all a modern human would need to enjoy a good night outside. When it comes to versatility in experience, no club can truly mix taste and class with fun and magic like Nepentha Milan. With its walls covered with exquisite art and illustrations, and the vivid colours that transport anyone who visits another realm, this club boasts a unique outlook and experience. One thing that makes Nepentha stand out amongst the crowd is their selection of good food, wine, and ambience to make sure your night is perfect. Nepentha promises anyone who enters a wonderful and magical experience filled with fantastic music, exquisite food, fine wine, and the best services available at the VIP table. So what are you waiting for? While you explore Milan’s art and culture, have a fun night of letting your hair down and make sure you visit Nepentha Milan. The Nepentha Milan club is located in the Piazza Armando Diaz, a popular public square in Milan, Italy. Nepentha shouldn’t be difficult for anyone to locate since it’s so popular, but for anyone confused, the exact address line can be followed: Piazza Armando Diaz 1, 20123, Milan, Italy. 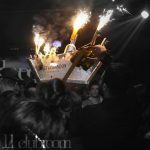 Nepentha is the place to go, not only for a fun night at the club but also for private events that require booking a VIP table. With an exceptional dining experience and several perks that come with booking a VIP table, you are bound to experience a night that you will never forget. With a reservation like this, not only will you get to jump ahead of the tiresome queue in front of the club, but you will also get a designated hostess for your table, who will be accommodating you throughout the event. But that’s not where your privileges as a VIP guest end. You get to make sure you have an all-fee-included night, and you even get to choose the table you use. All you need to do is to make a booking in advance, and pay when you arrive with whatever is convenient; cash or card. With a helpful and professional staff, Nepentha provides people at the VIP table with the best in bottle service. You can even enquire in advance what the pricing of each bottle is, and ensure that you have precisely the bottles you want to drink on the night in question. If you have a VIP table at Nepentha, there is no doubt that you should look the part. For men, this means a shirt and dress pants, with no open-toed shoes or beach clothes. For women, the idea is the same – look your best, and heels are not required, but definitely will be appreciated.